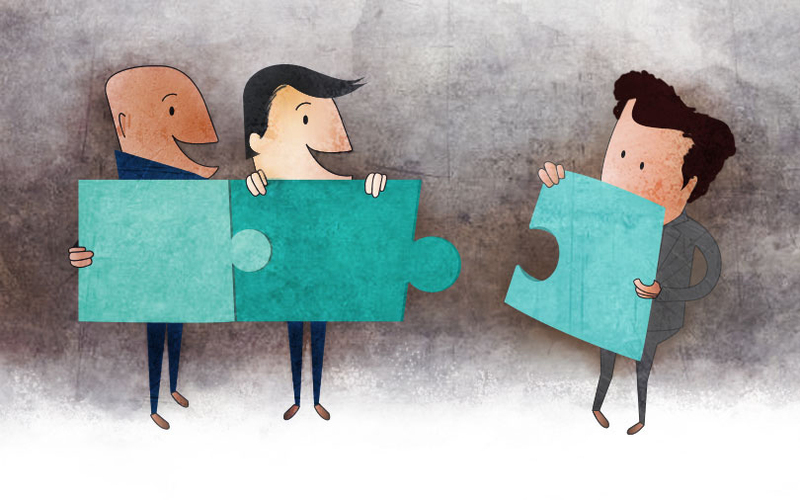 Merger and acquisition activity in India has been dominated by new-age sectors such as telecom, online retail and digital payments in recent months. But in August, the top M&A deal was struck in a traditional sector—food—as American company Mars Inc., best known for its chocolates and pet food business, agreed to acquire a majority stake in US-based Preferred Brands International Inc., owner of Mumbai-listed Tasty Bite Eatables Ltd.
Deal: Mars, through affiliate Mars Foods, has signed a definitive agreement to acquire Connecticut-headquartered Preferred Brands for Rs 1,109 crore ($172.8 million). Mars will buy 100% of Preferred Brands from Japan’s Kagome Co. Ltd and ASG-Omni LLC, a company controlled by Preferred Brands’ founding family. Preferred Brands holds a 74.23% stake in Tasty Bite. This stake will now be taken over by Mars. 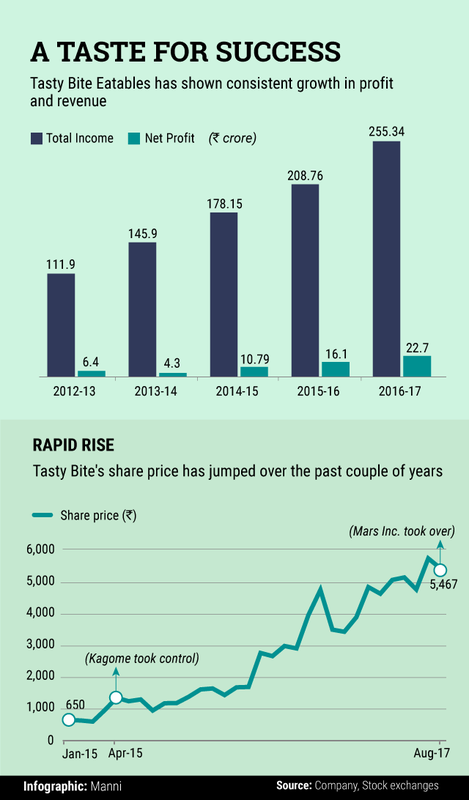 The deal triggered an open offer for public shareholders of Tasty Bite as per Indian stock-market regulations. Mars has made an open offer to buy a 25.77% stake from the public shareholders for up to Rs 352 crore, as per a stock market disclosure. The deal is subject to regulatory approvals and is likely to close by December. It is the second time in less than two years that the reins of the Indian packaged-food company are changing hands. In April 2015, Japanese food chain Kagome had acquired a majority stake in Preferred Brands for about $80.2 million. Considering the value of the latest deal, Kagome will likely get around $120 million for its 70% stake in Preferred Brands. This means that Kagome earned one-and-a-half times return on its initial investment in just two years. A recent report in Japan Times said, citing Kagome’s public relations group, that the stake sale in Preferred Brands was not likely to cause losses for the Japanese company. The report also said that ASG-Omni had offered to sell its 30% stake in Preferred Brands to Kagome, but the Japanese company found little merit in taking full control. “In the US market, Kagome will now focus on business-use food products,” it added. Target: Preferred Brands makes and markets ready-to-eat Indian and Asian dishes, organic rice and grains, and a spice and simmer sauce kit range under the Tasty Bite brand. The products are available in all major grocery stores and supermarkets across India as well as North America, Australia, New Zealand and the UK. Pune-based Tasty Bite Eatables was incorporated in 1995, and makes ready-to-serve food products. It also offers basmati rice, black lentils, brown rice, coconut milk, lemon grass, and some spices made at its Pune facility. Buyer: Mars Foods has a broad portfolio of brands, including ready-to-eat and dry rice and grains, sauces, meal kits, meal helpers, and spices, under brands such as Uncle Ben’s, Masterfoods, Dolmio and Seeds of Change. Globally, Mars Inc has brands like Snickers, M&M’s and Wrigley’s, besides pet food label Pedigree. Several of these products are sold in India and Mars has a direct presence in the country through its Wrigley confectionery business unit. Valuation: The open offer by Mars, at Rs 5,323.9 per share, values Tasty Bite around Rs 1,366 crore. The offer price is less than its current share price. Its shares closed at Rs 5,466.80 on 30 August. Tasty Bite’s valuation is 5.35 times its total income for 2016-17 and 6.5 times its total income for 2015-16. The valuation multiple for the company is high when compared to some of its listed peers. For instance, Kohinoor Foods’ market capitalisation is only 0.21 times its total income for 2016-17. LT Foods’ market capitalisation is 0.6 times its total income for the same year. Similarly, ATF Foods is valued 2.33 times its total income for 2016-17. The big picture: Mars is one of the largest food companies in the world. Tasty Bite, with its broad range of dinner-time products focussed on Indian and Asian cuisines, complements the existing portfolio of Mars. Mars Food global president Fiona Dawson said at the time of the deal announcement that the acquisition will help it expand its all-natural vegetarian offerings in the US, and leverage Tasty Bite’s strong product development pipeline, flavour expertise, and strategic sourcing of quality ingredients throughout its portfolio. On the other hand, Tasty Bite will gain from the strong portfolio of Mars brands and its global reach. Tasty Bite has only one factory, in Pune, and is present in five countries. Mars has operations in around 25 countries. Gaining access of Mars’ global infrastructure will help Tasty Bite to race ahead of its competition. The Indian company competes with ITC’s ready-to-cook range–Kitchens of India—as well as the likes of MTR and Kohinoor Foods. Advisers: Morgan Stanley & Co. LLC acted as the financial adviser to Mars Food. Skadden, Arps, Slate, Meagher & Flom LLP served as the legal adviser to Mars Food, and AZB & Partners was the India legal adviser. Tasty Bite was represented by Goldman Sachs, The Giannuzzi Group and law firm Shardul Amarchand Mangaldas.